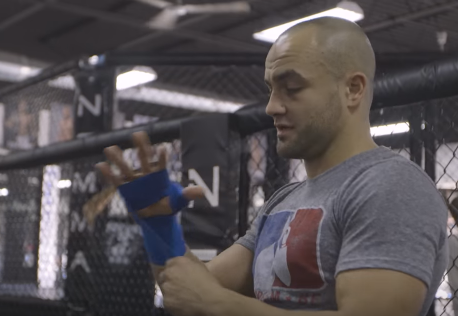 Although Eddie Alvarez likely won’t be next for Khabib Nurmagomedov, the former lightweight champ continues to fire verbal warnings at the new champ. Alvarez has been arguing for sometime that he’s the only lightweight who can defeat Nurmagomedov, and that hasn’t changed, since the latter won the title at UFC 223 earlier this month, by defeating Al Iaquinta. “I seriously have no control over who gets the shot, so I don’t really focus on it,” Alvarez said. “If they want to give Dustin (Poirier) a title shot, hell, give him a title shot. Do I think he’ll do well? Probably not. But it’s not up to me. Give him a shot, let him do what he wants to do, and that’ll be that. In Alvarez’s last bout, in December, he stopped Justin Gaethje. The former Bellator champ lost the UFC’s 155 title to McGregor in 2016.